Good morning! I am so excited to partner with Hobby Lobby to bring you this post! 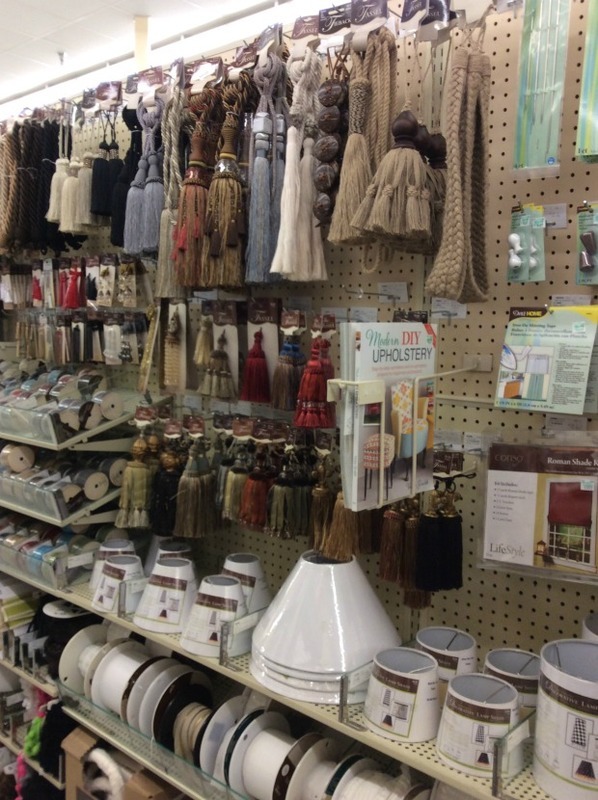 I remember the first time I walked into a Hobby Lobby store. I was 17 & my grandmother brought me in. I was blown away! Back then I was obsessed with all of the art supplies. I was in Art all through high school. I loved it! Annnnnd today I am obsessed with just about everything else ~ the home décor, craft supplies, fabric, holiday decorations ~ everything! 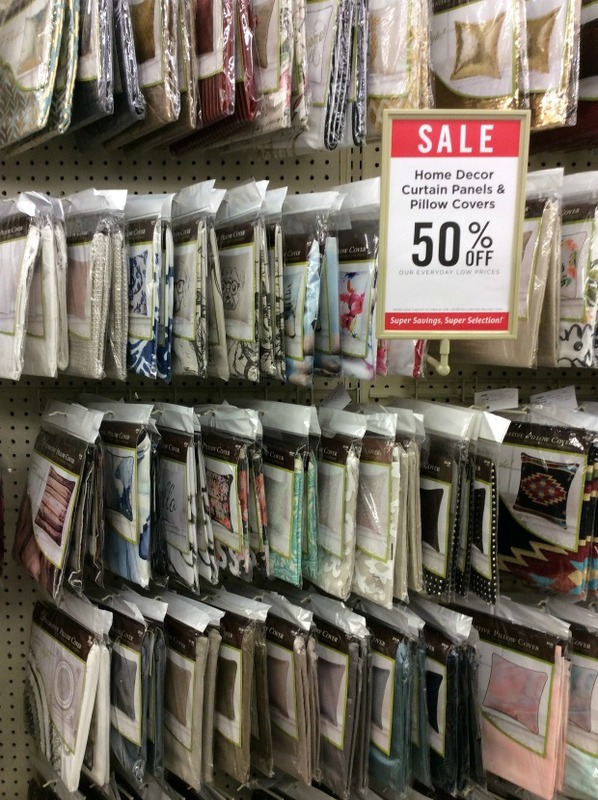 Recently on a trip to Hobby Lobby I spotted these awesome faux leather table runners in the fabric department. Of course, my crafty mind started thinking of a thousand ways to use these besides as a table runner. ha! 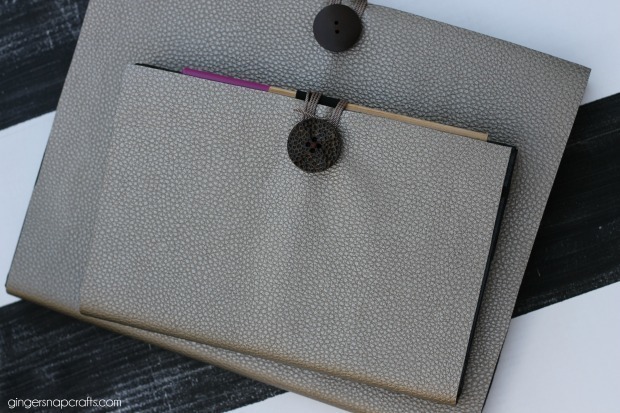 So today I'd love to show you how I made these Faux Leather Book Covers. Let's get started! I love this table runner. 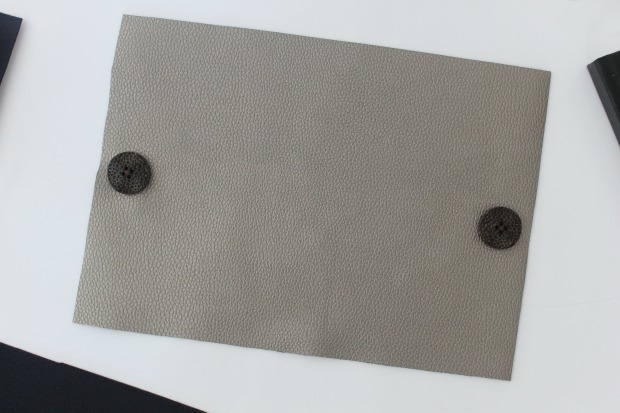 The leather look is so popular now, and this can be used for so many projects! First, roll out the table runner on a flat surface. 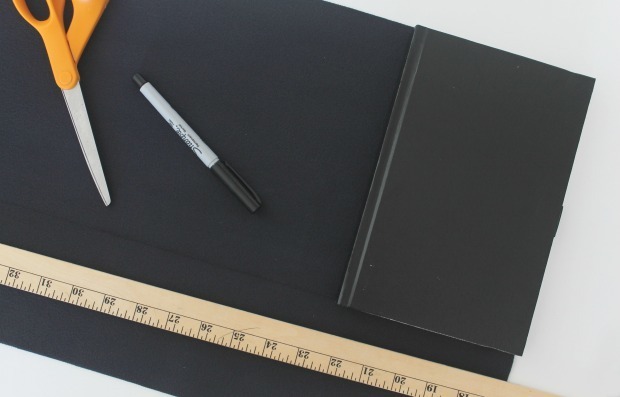 Place your sketch book in the top corner. Using the yardstick, draw a line from the bottom of the sketch book just a little bit longer than you think it needs to be. It's better that it be too long than not long enough. 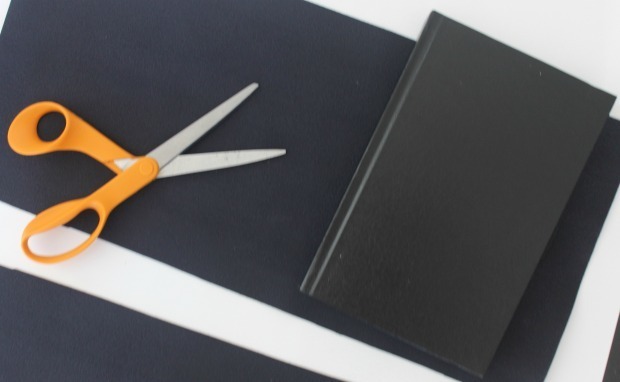 Cut carefully along the line using your fabric scissors. 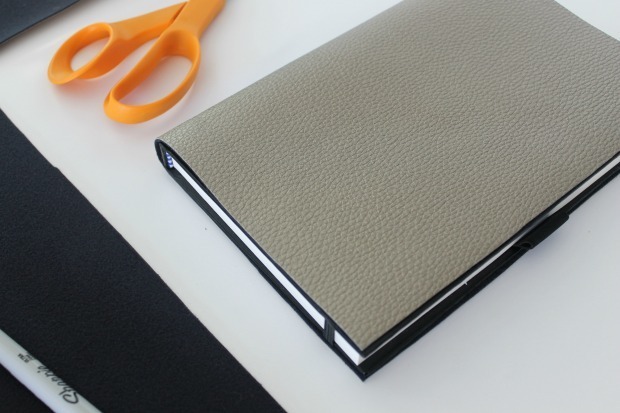 Fold it over your book & mark where you need to trim it. I just made a small slit with my scissors. 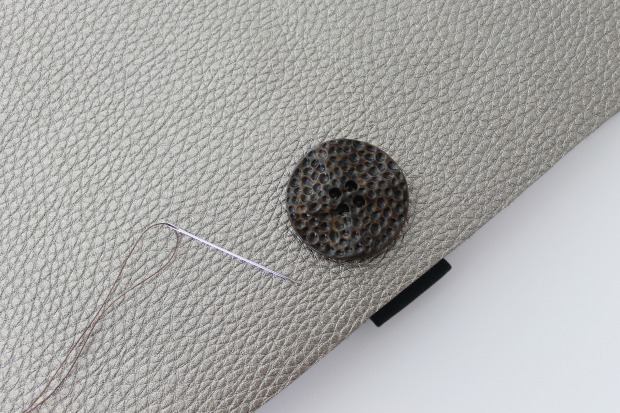 Next I sewed a button on both sides of my book cover about an inch in & right in the middle. This is how it should like if you lay your book cover out flat ~ a button on either side in the same spot. Next, cut an 8 inch piece of twine. 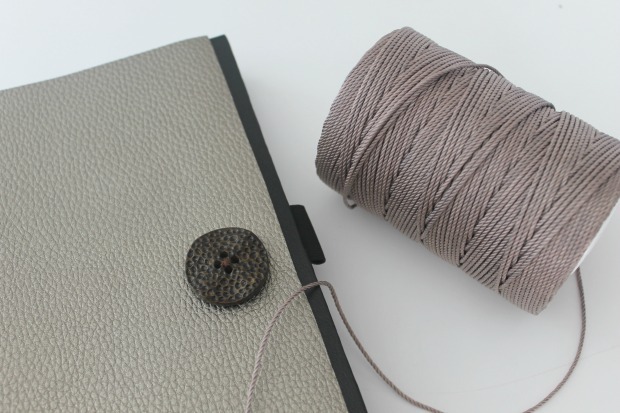 Wrap the twine around both buttons to close your book cover. I love how this dresses up the books & adds a little bit of protection to them as well. So fancy! 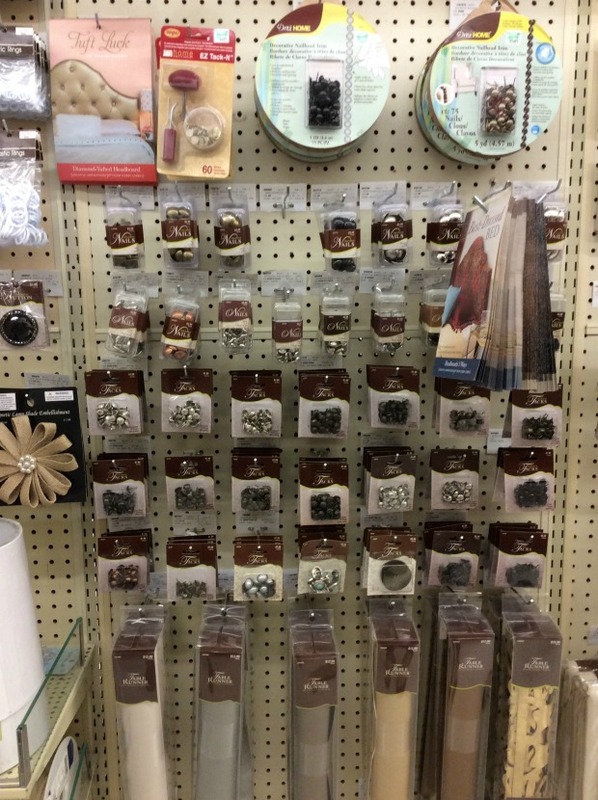 Remember to to visit Hobby Lobby for all your crafting needs! Don't forget your coupon! 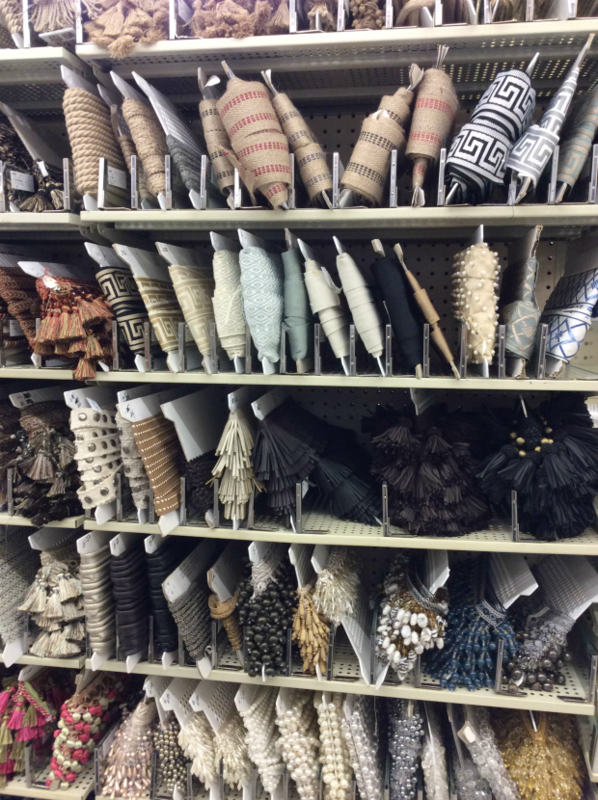 ;) Annnnnnd don't forget to check out the amazing fabric section. You can find all of these goodies there.